Russian imports of apples from Serbia will be limited, said Russia’s food watchdog Rosselkhoznadzor, citing quality concerns. 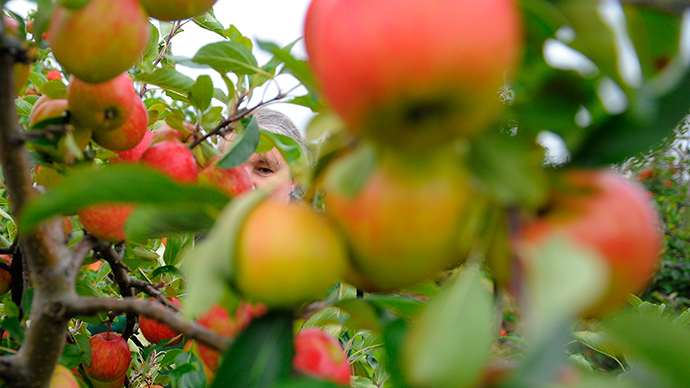 Moscow has suspected the sharp rise of supplies from Serbia could hide the re-export of banned apples from Poland. "We have to introduce a prior notice procedure in respect of apple deliveries from Serbia. Products will not be authorized to cross the border without inspection," the head of Rosselkhoznadzor Sergei Dankvert said on Thursday, TASS reports. The tougher measures are related to a “large-scale falsification of Serbian quality certificates”. “We checked 33 Serbian apple certificates and only one of them was authentic,” Dankvert said. The limit on apple supplies will come into force on Friday. Russia became concerned last month after a significant increase in apples coming from Serbia, and suspected the fruit could have been re-exported from Poland, which is currently under a food embargo. In August President Putin signed a one-year ban on agricultural produce, foods and raw materials from countries that have sanctioned Russia over the Ukrainian crisis.